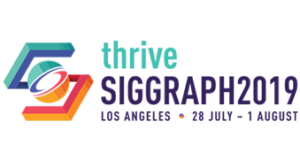 Below is feedback from students who attended SIGGRAPH 2016 in Anaheim, California, through the Spend a Week at SIGGRAPH program. The program was sponsored by the ACM SIGGRAPH Education Committee and the ACM SIGGRAPH Computer Graphics Pioneers, with generous financial support from the National Science Foundation. NSF: National Science Foundation or Nonstop Science Fun!!! Two years ago, I met an amazing mentor through a program called Girls Who Code Summer Immersion Program. On our Facebook group chat, she spread the word about this program. Before I saw the message, I really wanted to go, but I saw the price of the tickets, and it was beyond my budget. I applied because I have been interested in computer science and engineering for almost 4 years now. I thought it would be interesting to see the type of work people in computer science do. I have met white hat hackers and programmers, but I had never met people in computer graphics. During the winter, I went to the Chaos Computer Conference (CCC) in Hamburg,Germany and I expected SIGGRAPH to be similar, but it was not. I learned about render farms, computer graphics designs, and even met other professionals in the field of computer science/ graphics designs. I was so happy to meet James Gosling as well! He might not have noticed, but I was nervous to meet him. I have been in robotics for 4 years now, and I was surprised to see that the inventions presented at the conference were similar to what I have been working on. I saw a 15 foot tall robot, self-moving chairs using sensors, and a 3D pancake printer. I enjoyed taking breaks, speaking to other professionals and eating 3D printed teapot pancakes, but my least favorite part was watching the complicated mathematical problems presented in technical papers. I was surprised when I didn’t see a Pixar booth at the event. Every year, Pixar passes out collectible teapots, but I, along with many attendees were bummed. My habituation to technology has led me to create new innovations; when I was 12 years old, I created a Google Cardboard without knowing that it would be a phenomenon in the next couple of years. Going to SIGGRAPH has piqued my interest in virtual reality. Just two years ago, apps were the best thing on the market, now it’s virtual reality. I plan on doing research in college and creating the next technological advancement. SIGGRAPH was so memorable that I am still telling people about the conference. I plan on volunteering next year and making world-wide connections, but it would be awesome to do this program again. I already have a couple of friends at school who want to go to the conference next year! My plan is to allow alumni to guide/mentor next year’s students around SIGGRAPH along with the professional mentors. I know it would have been more helpful if I had that type of guide at the conference. Next year’s students should spend a day in the exhibition, two days in the VR Village, and go to technical papers with their mentors. It’s better to go with a person who is knowledgeable about computer graphics to explain concepts. Students should also make friends with other students at the conference and walk around together. Mentors should also take students to technical papers and explain to them what’s going on. I am thankful that my mentors took the time to talk to me about their careers and experiences in technology. Before SIGGRAPH, I was interested in computer graphics – but I wasn’t really sure I could make a career out of it. I found out about SIGGRAPH 2016 from one of my teachers at school. She had introduced me to computer graphics and told me about SIGGRAPH. She encouraged me to submit a poster abstract of some research that I had been doing to SIGGRAPH, which I unfortunately wasn’t able to complete in time. She suggested that I might still be able to attend via the Pioneer Mentorship program, provided me contact information and encouraged me to apply. I decided to apply for the mentorship program because over the past year and a half I have developed a great interest in Computer Graphics. I started teaching myself GLSL and writing shaders for Processing. I eventually decided to learn C++ and created a rendering program that implemented my own shades. I thought that attending SIGGRAPH 2016 would be a great opportunity to learn more about computer graphics and its application specifically in industry. I had heard from my teacher that there were many different areas to explore and things to see and do. I also thought it would be a good way to meet people who were interested in computer graphics. I was very fortunate to have two mentors assigned to me during the SIGGRAPH conference. Both were professors at universities and I met with one of them every day for at least a short time to discuss what I had seen and done, as well as what I might be interested in doing during the remainder of the SIGGRAPH conference. The main thing I learned from my mentors is that I’m not alone in my love for computer graphics and animation. Before attending SIGGRAPH, I did not realize this since I go to a relatively small high school with only around 90 people in my grade. I had never really met others who shared my interest in Computer Graphics, so it was cool to meet these professors who work with student at their respective universities and were interested in the same areas me. When I applied to the Pioneer Mentor program I was mostly interested in GLSL and programming shaders. I was really surprised by how much I ended up being interested in animation. There were a lot of really cool talks involving computer animation. I didn’t expect to be as interested in animation as going in to SIGGRAPH, I was more interested in real time graphics. After SIGGRAPH I actually started creating my own animations which was something I never thought I would do. My favorite part about SIGGRAPH was VR Village. The VR Village was an area of SIGGRAPH where you could experience virtual reality in real time applications for gaming and other real world applications. It was cool to see firsthand the cutting edge graphics and technology. There were other areas that I also really enjoyed. The TALKS about animation techniques and the Computer Animation Festival were two others that were favorites of mine. Be sure not to miss the Computer Animation Festival if you have an opportunity to attend SIGGRAPH, it is a great production including a sampling of amazing video and film works. There were so many areas to explore and things to do plan you should plan to stay for the whole conference if you can. SIGGRAPH 2016 made me realize the many areas of Computer Graphics there are, and all of the opportunities that exist in this industry. It has made me seriously consider becoming a game designer or 3D Artist. Before SIGGRAPH, I was interested in computer graphics, however I wasn’t really sure I could make a career out of it. SIGGRAPH showed me how many unique opportunity’s there in computer graphics fields. I would recommend the SIGGRAPH Pioneer Mentor Program to others who are interested in computer graphics and interactive technologies, because it is a very comprehensive conference which gives you an opportunity to see many different aspects of the computer graphics and animation industry that you may not know about. The advice I would give to anyone who attends SIGGRAPH through the mentorship program is to meet with your mentor regularly. They have a lot they can share about the conference and thing to try. Also try to meet some of the people attending SIGGRAPH who work in the industry. They are willing to share information and give advice the short amount of time I spent talking to game designers and software developers was the most memorable.